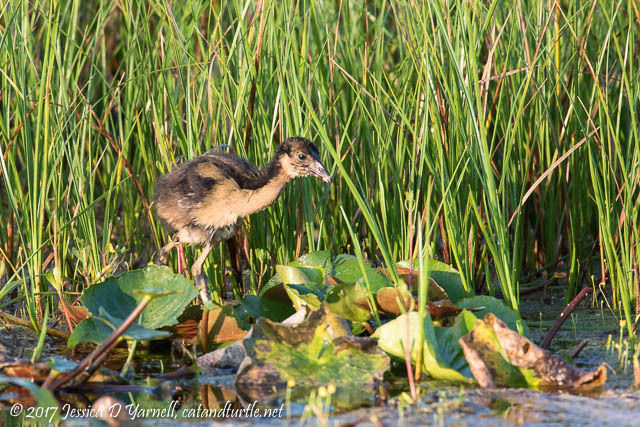 The July 4th weekend brought 4 opportunities to visit the Lake Apopka Wildlife Drive. I didn’t intend to visit all four mornings, but the activity was great and I couldn’t tear myself away. Do you see why? Just look at this sunrise! 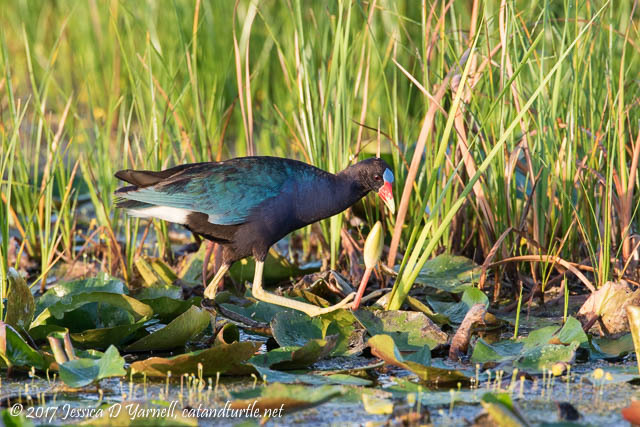 My first birds of the morning were Purple Gallinules. 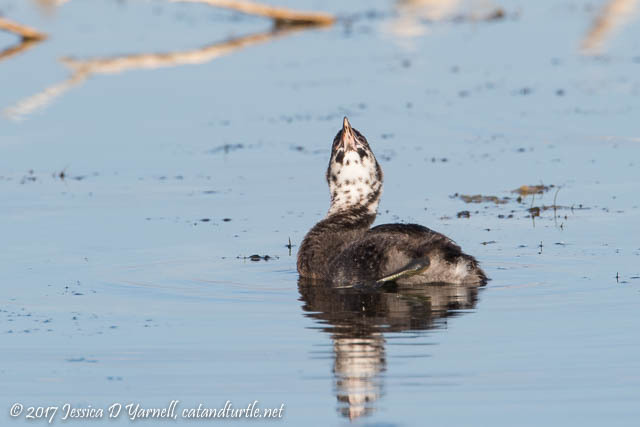 An adult was caring for several juvenile birds in one of the ponds off Lust Road. The babies aren’t black like newborns anymore. But they were still cute to watch as they went fishing with Mom for breakfast. 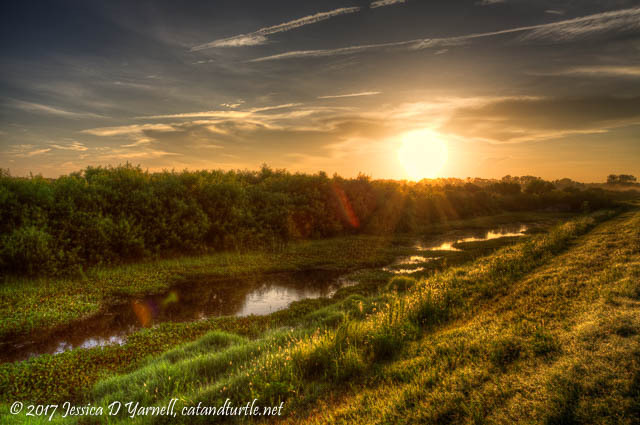 Lust Road at sunrise is an awesome place for Osprey flight shots. 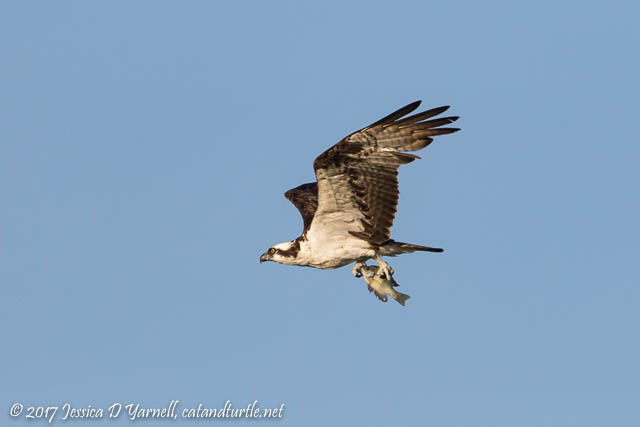 I hopped out of the car to get a few shots of this Osprey as he passed by with his breakfast. 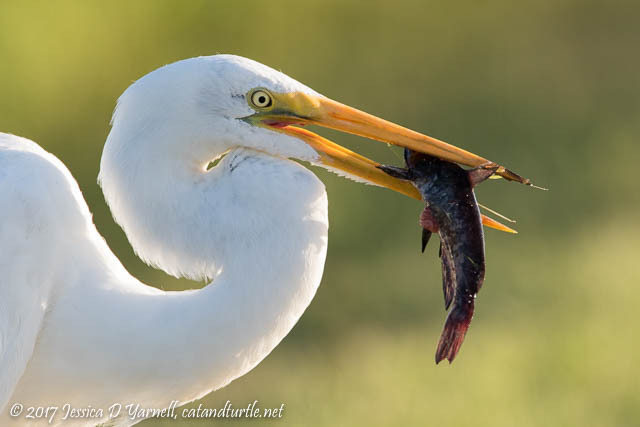 I had to tell him, though, that his prize wasn’t as big as the catfish I’d seen on my last visit! 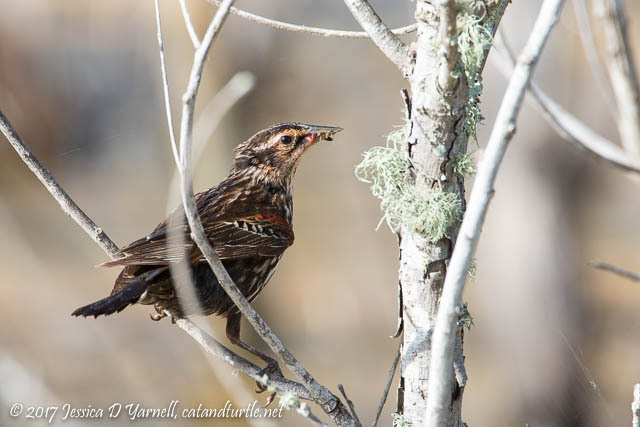 Near the road, a Red-winged Blackbird hopped up onto some branches and posed. His feathers glistened in the morning light. He refused to throw back his head and sing, though. 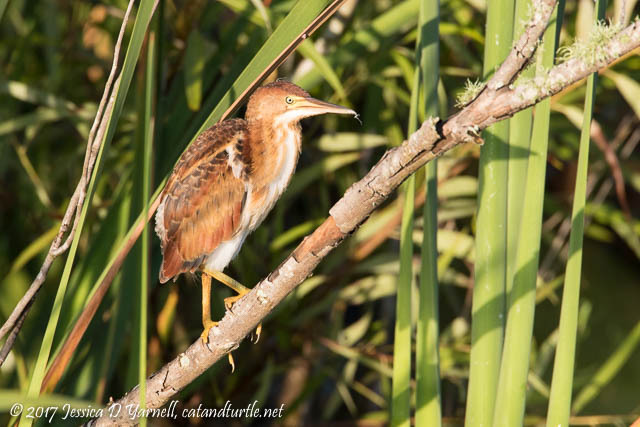 I came across two juvenile Least Bitterns off Lust Road. They both sat out in the open and looked around curiously for breakfast. You can see a bit of fuzzy down remaining in this one’s feathers. 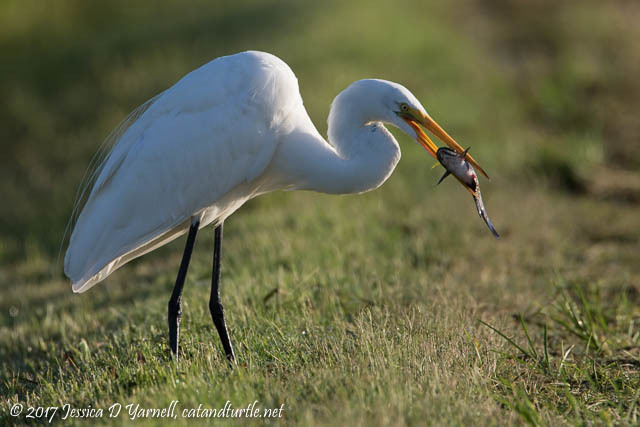 As I headed down Welland Road, I noticed a Great Egret grab a catfish and head up the berm to eat it. The silly bird was standing right on the road. I took a few pictures and moved forward, expecting him to take off. But he didn’t. He let me get a head shot instead! I’m seeing more night herons in the skies at LAWD as the summer goes on. 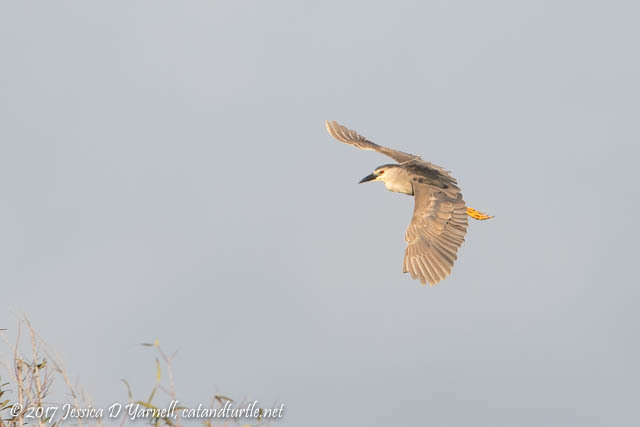 This adult Black-crowned Night Heron showed off all his glossy feathers as he flew past me. I checked on the Pied-billed Grebe family. The babies are so big now! One of them was pestering Mom for breakfast. The other swam quietly closer to the road. I loved it when he peered up at the sky to check on a noise. 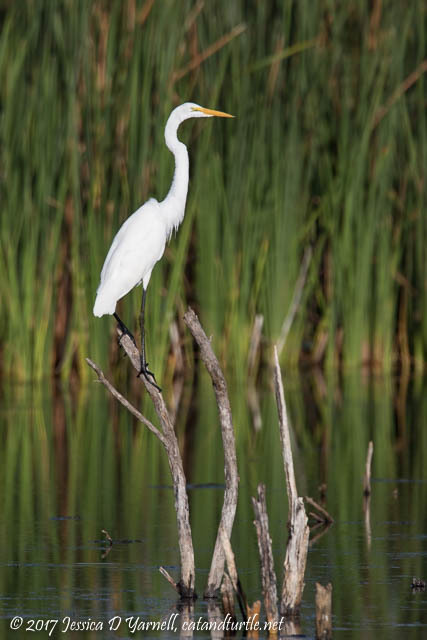 Nearby a Great Egret posed regally on a branch sticking out of the water. He was beautiful in the soft morning light. 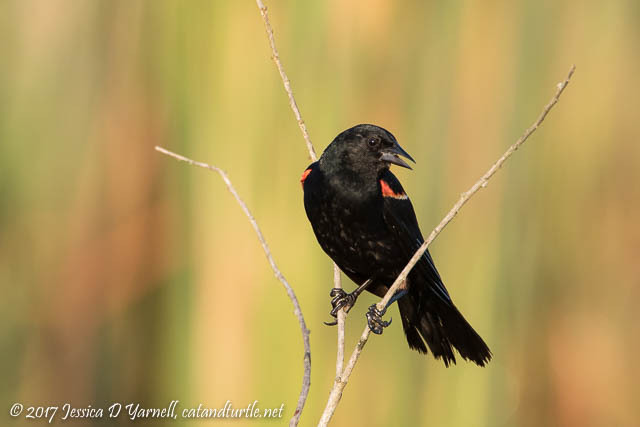 As I continued down the drive, I came across one of the many Red-winged Blackbird fledglings that are growing up by Lake Apopka. This one didn’t mind having his picture taken. He forgot to wipe off his mouth first, though – it’s still covered in the bug he had for breakfast. Nearby I found the Red-winged Blackbird nest that I wrote about in my last post. So it was quite a bit later before I moved on! Next I headed down Laughlin Road. I was hoping to see a Yellow-billed Cuckoo or Orchard Oriole again. They pop up in the treetops when you least expect it. 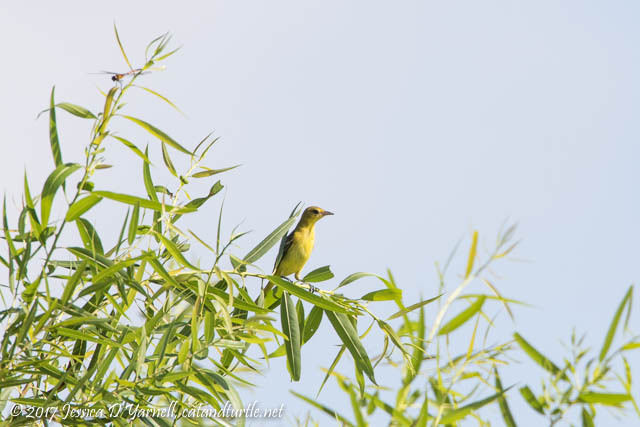 I did find one a female Orchard Oriole at the top of a tree about halfway down Laughlin. She clung to the branch as it was tossed around in a gust of wind. 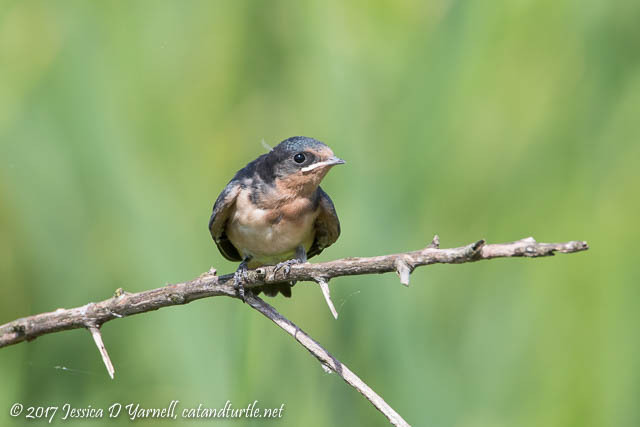 You can’t visit Lake Apopka Wildlife Drive in the summertime without taking at least one photo of a cute fledgling Barn Swallow. Well, at least I can’t. This one was particularly charming with his little bit of down sticking out of of the back of his head. People have been reporting large numbers of kites flying over the fields at the end of the drive lately. 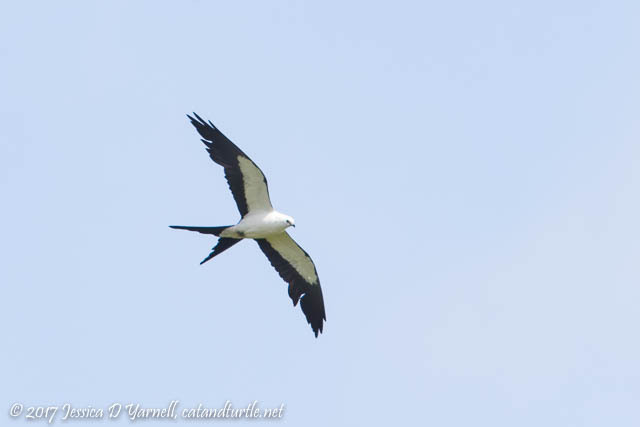 At this date I hadn’t seen the large numbers, yet, but I did photograph a single Swallow-tailed Kite as he flew overhead. Later I learned that the kites don’t really fly in till around 11am, so it doesn’t pay to be an early bird and leave before it gets too hot! 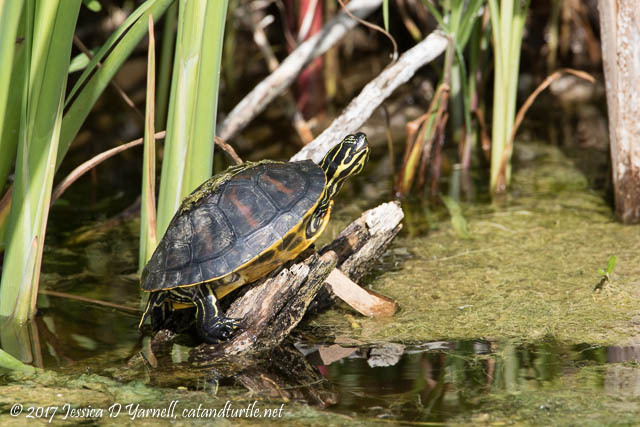 Last but not least – I found a turtle sunning himself along Laughlin!